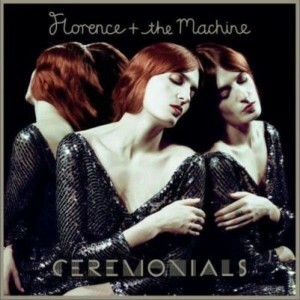 Ceremonials is the second studio album by the English indie pop band Florence and the Machine, due to be released on 31 October 2011 by Island Records. NME magazine confirmed that after the release of the song "Heavy in Your Arms" for the soundtrack to The Twilight Saga: Eclipse, Welch entered the studio for a two-week session to record with producer Paul Epworth (Adele, Bloc Party), with whom she worked on the band's debut album Lungs (2009). She said that the two recordings that came out of that session were inspired by science because "a lot of her family are doctors or trying to become doctors, so much of her conversations are fixated on medical stuff." One of the tracks, "Strangeness and Charm" (now exclusive to the deluxe edition), was debuted on 2 May 2010 at the Olympia Theatre in Dublin, Ireland, during their Cosmic Love Tour. The song was later recorded live at the Hammersmith Apollo on another stop of The Cosmic Love Tour and was released on a deluxe re-release of Lungs titled Between Two Lungs along with other live tracks and previously unreleased b-sides. Welch describes the song as "about seven minutes long and pretty relentless" and also "dancey, but it's also dark as well", featuring "relentless drums and heavy, droning bass." In an interview with the Gibson website on 17 February 2011, guitarist Rob Ackroyd stated, "Work on the second album has begun with Paul Epworth and there is talk of booking out Abbey Road for a month in April/May to record." 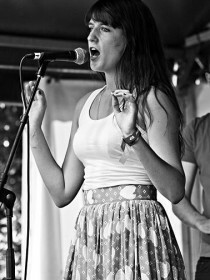 In June 2011, Epworth told BBC 6 Music that the album would probably be finished "by the end of July" and described the sound as "a lot less indie and lot more soulful". He also indicated that there were sixteen songs up for inclusion on the album, but that this would be reduced upon the time of release. During their North American tour, Florence and the Machine debuted a new song titled "What the Water Gave Me" at the Greek Theatre in Berkeley, California on 12 June 2011. On 23 August 2011, "What the Water Gave Me" was released on iTunes as the lead single from the album, along with an accompanying video on their VEVO channel on YouTube. On 23 August 2011, Pitchfork Media confirmed after the release of "What the Water Gave Me" that the album has the band working solely with Epworth. On 12 September 2011, Alan Cross confirmed that Florence and the Machine's new album would be titled Ceremonials. He also commented on the album by saying: "I've heard a little more than half the record and it is big, soulful and powerful. Think Adele or Tori Amos but with some serious Kate Bush DNA, especially with the rhythm section." "What the Water Gave Me" was released on 23 August 2011. Despite not being an official single, the song has had moderate chart success, entering the UK Singles Chart at number twenty-four for the week of 3 September 2011. "Shake It Out" is the first official single from the album and was played exclusively on 104.9 Xfm in London on 14 September 2011. It was released in the UK officially on 30 September 2011. The song was given the accolade "Best New Track" from Pitchfork. "No Light, No Light" is confirmed to be the second single from the album.